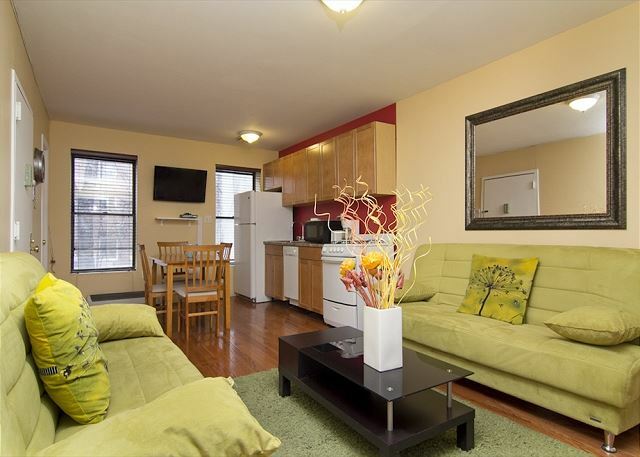 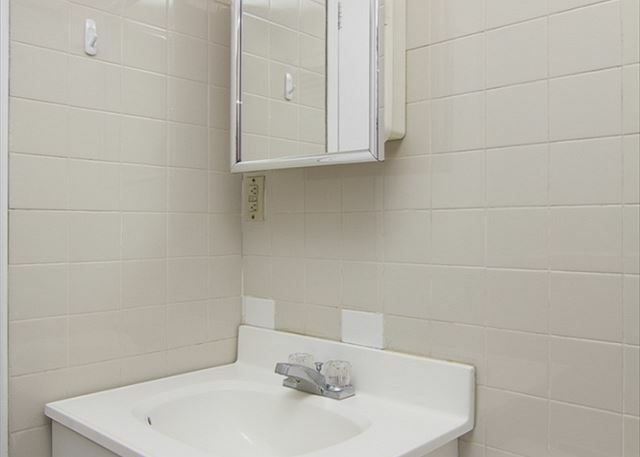 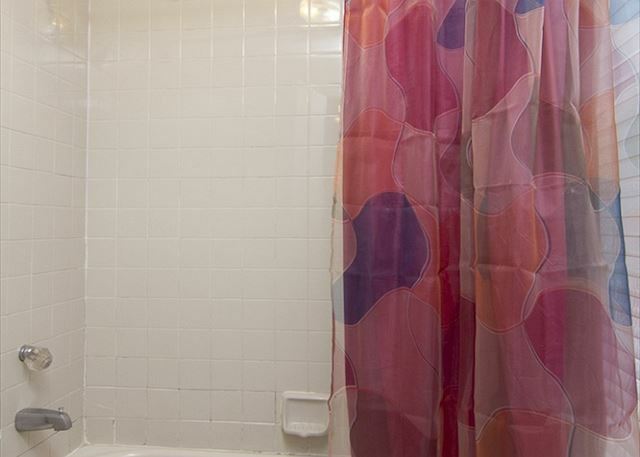 Situated in Midtown East this 2 bedroom apartment is ready to welcome you to the Big Apple. 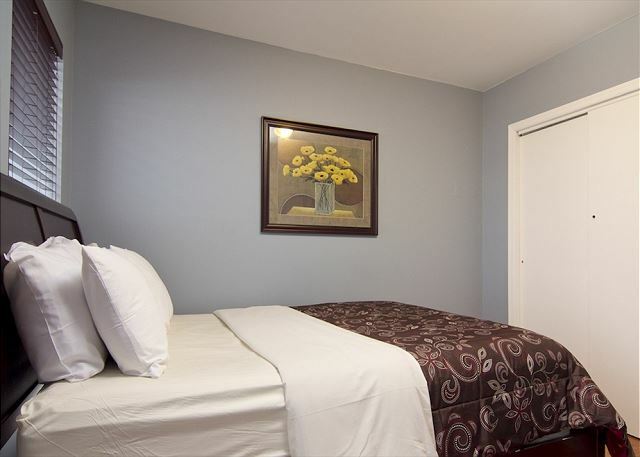 This area is truly great, as it is populated with some New York’s most iconic landmarks: the historic and most stunning railroad station Grand Central Station, The gorgeous Chrysler Building, Rockefeller Center, the United Nations, and world recognized department stores. 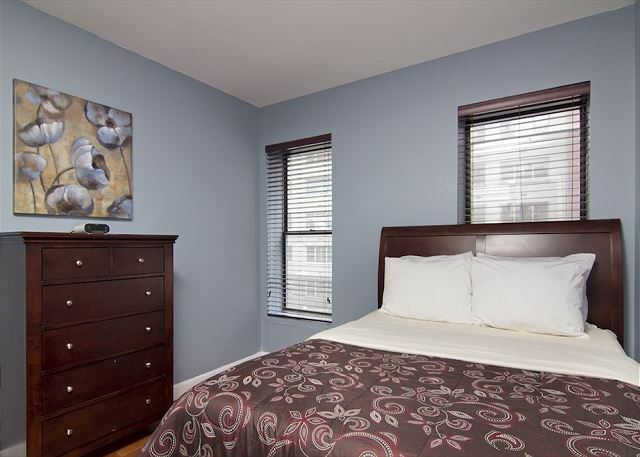 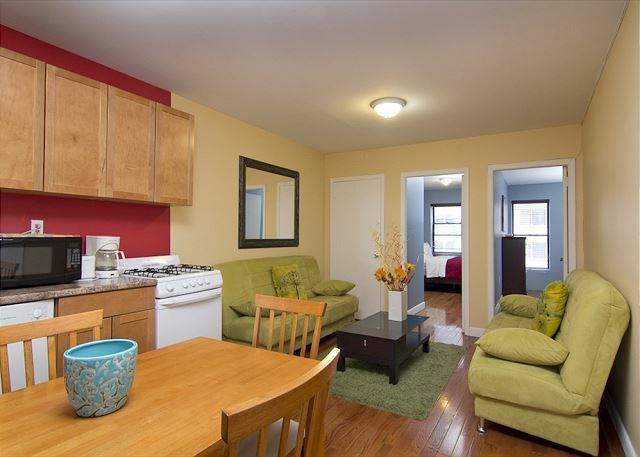 It is also in close proximity to the most visited attraction, Times Square and all the attractions of Broadway. 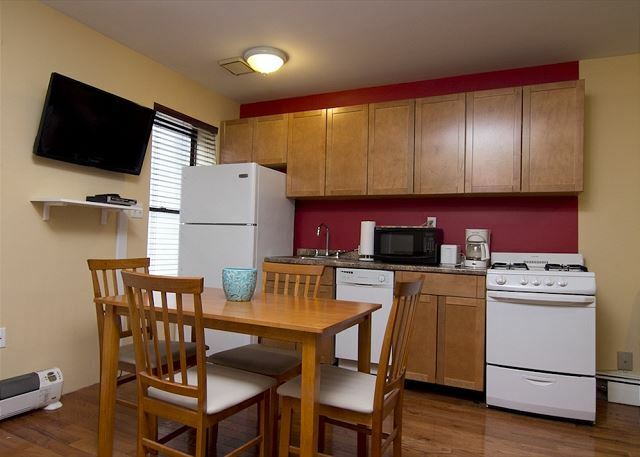 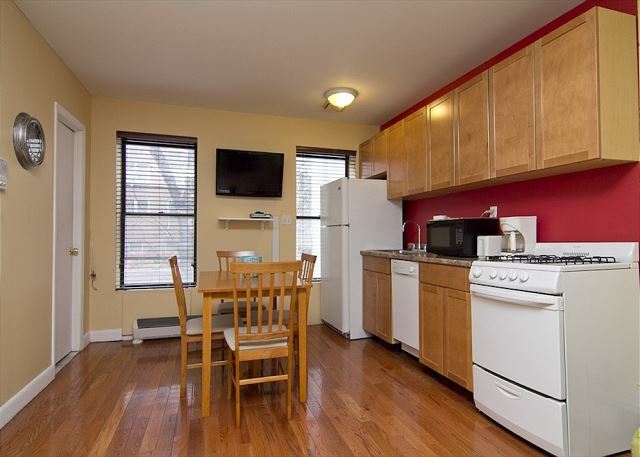 The apartment itself has beautiful hardwood floor, modern furniture, with a fully equipped kitchen including a dishwasher. 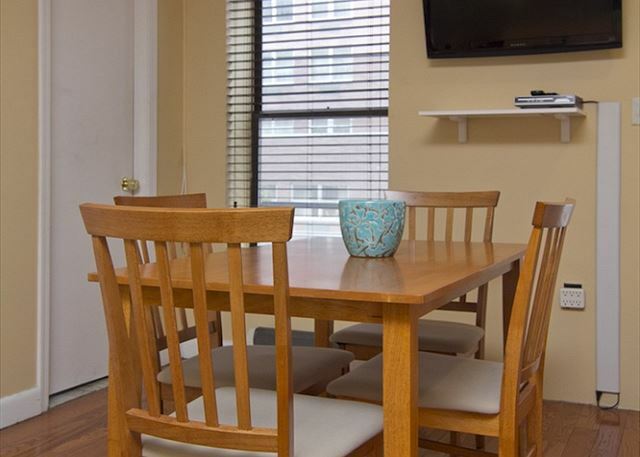 The dining area has a lovely wood table with seating for four. 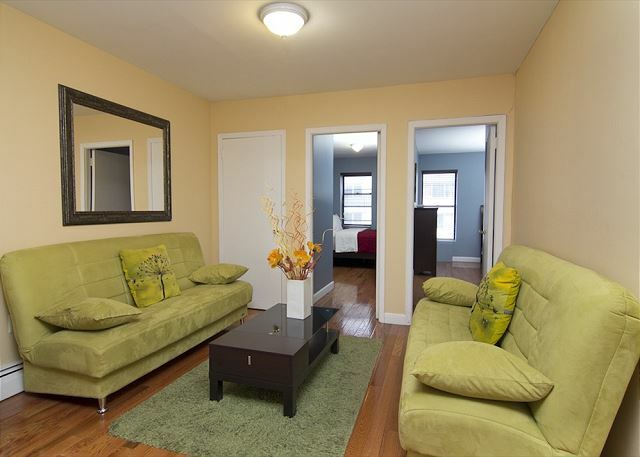 The commodious living room includes two sofas and a modern coffee table, perfect for lounging and quality bonding time with you fellow travelers. 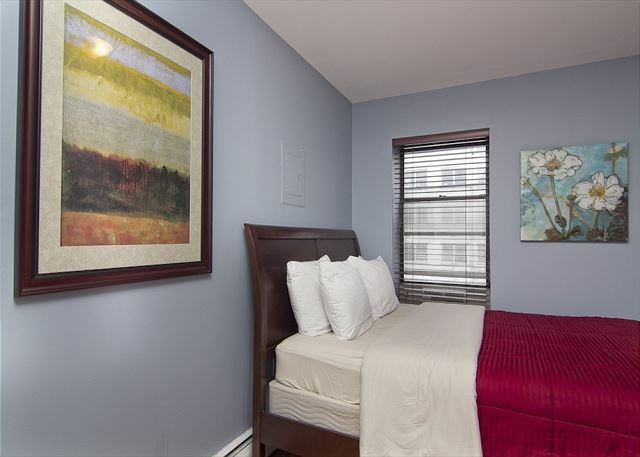 The versatile sofas easily convert into two extra sleeping accommodations folding out into full sized beds. 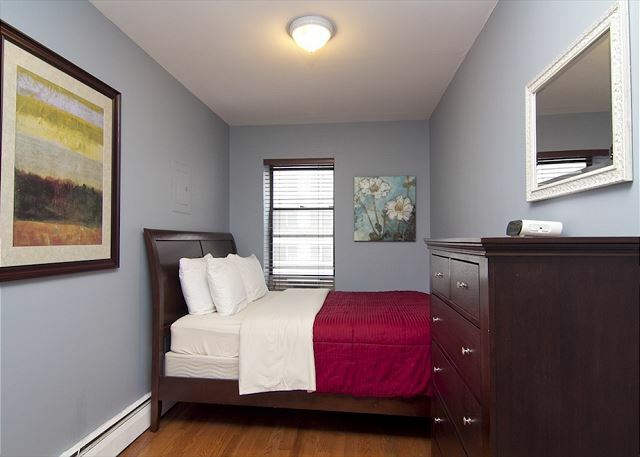 The bedrooms each have a queen sized bed with cherry wood frames and matching dressers.